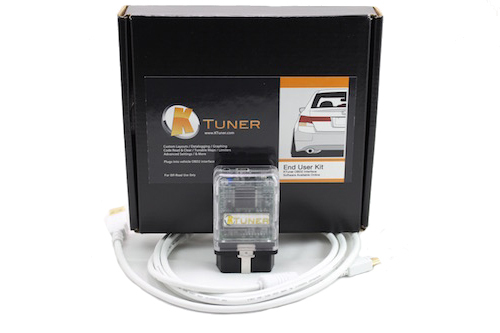 Our KTunerFlash tuning package comes with a single KTuner hardware unit paired with a single user license for the KTuner software. Our entry level tuning kit. This allows datalogging and reflashing right over your factory OBD2 port!